Summer Athletics/Fitness Training Program Once Again at HCHS! Fourth through 12th grade Hunter students of all skill and fitness levels are invited to sign up for the HCCS Athletic Training Program this summer. The program will take place in the Hunter Gym the weeks of July 6, 13, 20, and 27, each weekday from 2:30 pm - 5:30 pm; the weeks of August 3, 10, and 17, from 9 am - 12 pm; and the weeks of August 3, 10, and 17 from 1 pm - 4 pm. Cost is $200 per week and includes an HCCS Athletic Training Program Tee shirt. Register at www.plantoexcel.com; click on the HCCS ATHLETIC TRAINING link. For more on the camp, read on. * STRENGTH: Weight training, calisthenics, resistance tubing, manual resistance, etc. * SPEED & AGILITY: Speed drills, plyometrics , hurdle training, ladder drills, etc. * CORE: Abdominal and lower back exercises to increase strength and flexibility. * BODY MECHANICS: Understanding elements of Kinesiology and efficient movement. * FOOTWORK: Proper alignment and position to maximize efficiency and speed. * FLEXIBILITY: Increasing range of motion. * INJURY PREVENTION: Taking proactive measures to reduce risks. * IN-GAME STRATEGY: Adjusting to changing conditions. * REHABILITATION & REST: Listening to the signals your body is giving you. * SPORTS PSYCHOLOGY: The game within the game. * TEAMWORK: Getting the best from yourself and your teammates. * TIME MANAGEMENT: Finding time for academics and athletics. FOR MORE INFORMATION, PLEASE CONTACT RAY DALMASI AT RAY@PLANTOEXCEL.COM. This program is sponsored and supported by Hunter College Elementary and High School. 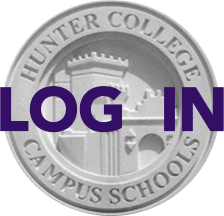 It is approved by the Hunter College Campus Schools' Athletic Department. Proceeds will be donated to HCCS for athletic equipment.